Aboriginal Governance, Anthropology, Applied Computer Science, Bioanthropology, Biochemistry, Biology, Biopsychology, Business & Administration, Chemistry, Classics, Computer Science, Conflict Resolution Studies, Criminal Justice, Dance, Developmental Studies, Economics, Education, Engineering, English, Environmental Studies, Urban Studies, French Studies, Geography, German-Canadian Studies, German Studies, History, History of Art, International Development Studies, Italian Studies, Kinesiology and Applied Health, Mathematics & Statistics, Mennonite Studies, Modern Languages and Literatures, Philosophy, Physics, Politics, Psychology, Religious Studies, Rhetoric and Communications, Sociology, Spanish Studies, Statistics, Theatre & Film, Urban and Inner-City Studies and Women's & Gender Studies. 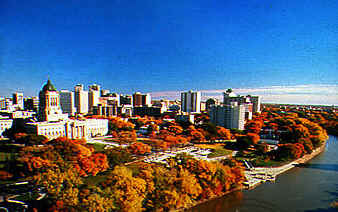 University of Manitoba has an average enrolment of 27,000 - 24,000 undergraduate and 3,000 graduate students. The university offers about 60 Degrees at the undergraduate level with graduate studies programs leading to master’s or doctoral degrees.